How To Build Glutes Without A Gym! 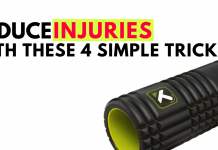 Reduce INJURIES With These 4 Simple Tricks! 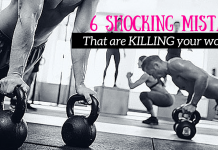 The UGLY Truth About Waist Trainers! Pilates Abdominal Exercise That is a Regular in my Workout Rotation!! Stay Motivated! Happy People Are More Successful! These women are so inspirational!! I really need advice on how to make my waist smaller and legs and bum toned but without losing my bum. Helppppp?!!!! Classic Black Manicure – We love it! Black polish has become the 'new' neutral for fall! Check out a mix of fun and classic nail art looks using black polish. Enjoy! 10 Healthy, Diet Friendly Snacks Worth Sharing!